The Problem: You are a business manager(1), and it is either explicitly or implicitly the case that you are responsible for monitoring the activities of the investment managers that have been entrusted with your clients’ capital. (If you are not a business manager or disagree with this statement, stop reading. This paper does not apply to you.) The problem is that most business managers don’t have the internal systems, licensure, training, staff support, or time to conduct the independent monitoring functions that their clients expect and the law requires(2). The Way It Should Be: It should be easy to answer the question, “Is my client’s investment manager doing a good job?” And it is easy if the business manager takes the time to define what the job is that the investment manager is being hired to do. Good investment governance begins with the business manager helping their client document the outcomes that the investment manager is being hired to accomplish. Not only should the job description include the financial objectives being pursued, but also the parameters or investment principles that the client holds. This job description will include, at a minimum, the client’s targeted rate of return, the anticipated contribution & distribution rate from the portfolio, the agreed upon fee to be paid to the investment manager, the maximum allocation to illiquid investments, a policy regarding the minimum amount to be allocated to a capital reserve (a “bond bunker” made up of short-term, investment-grade bonds), and how frequently and by which party independent monitoring and review will be conducted. 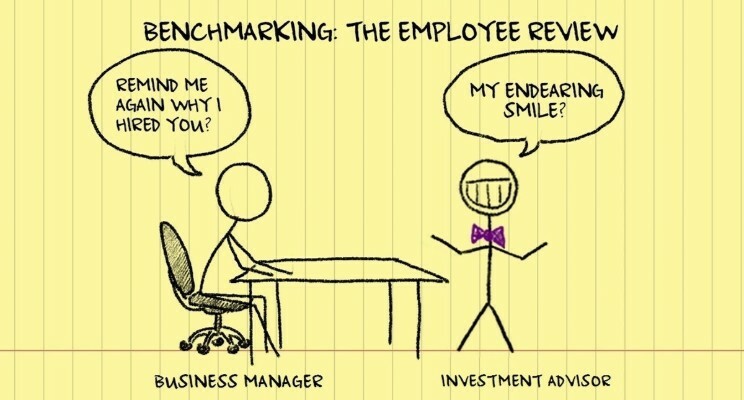 Your Job v. Their Job: Once the “Job Description” has been approved by the client and delivered to the investment manager it is important that the business manager’s role be constrained to monitoring the actual results versus the documented objectives. Too many business managers are willing to accept responsibility for strategic and tactical portfolio decisions which are beyond their contractual responsibility, legal authority, or licensure. It is reasonable for the business manager to have an opinion that their client relies upon, but if the business manager does not have the legal authority to do so, their personal views should not dictate policy. The allocation, strategy, and tactics are the investment manager’s responsibility, though they must remain consistent with the “Job Description” that has been given to them. The business manager’s job is to be the arbiter of whether the investment manager’s recommendations stay within these defined bounds. If the business manager confuses their job (monitoring and reporting) with the investment manager’s job (investment allocation and tactics), the business manager opens the door for a charge by the investment manager that “the business manager told me to do it this way. It’s not my fault that things went badly.” The investment managers have and will continue to make this claim under oath because in most cases it is true. Is this portfolio likely to accomplish the desired objective? Is the return that was realized appropriate given the risk taken? Is the portfolio reasonably diversified? Is the advisory fee fair given the portfolio size and objectives being pursued? Are there any operational risks with the investment manager or their company? The Admonition: That’s how to watch the hen house. Go and do likewise. Anodos helps clients answer the question, “Is my investment manager doing a good job?” Many of our clients are individual trustees, business managers, ERISA trustees and endowment board members who are obligated to independently monitor the activities of the agents to whom investment duties have been delegated. What makes us unique is this is all we do. We don’t manage money, sell insurance or accept referral fees. We don’t have a horse in the race. (1) Typically a hybrid accounting practice providing a variety of related service (accounting, audit, bookkeeping, investment oversight, royalty audit, financial project management, et cetera) for high net worth clients typically in the entertainment, sport, or other creative performing arts industries. (2) CalProbate Codes 16052(a)(i,ii,iii) re prudent selection, delegation and monitoring of investment advisory functions.